Our Chalet received the award from Clévacances: top general quality label for seasonal rentals. 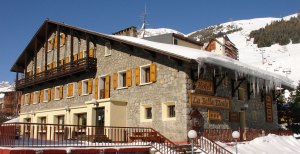 It is located in the centre of Les Deux Alpes, in a quiet corner, near bars, shops, restaurants and teleferics and it is very close to the HOTEL LA BELLE ETOILE. They are furnished in a tasteful, rustic style in wood and stone. Thanks to the interior design that perfectly combines the intimacy of the bedrooms with the spacious and comfortable setting of the dining and lounge area, the chalets are a perfect solution for your family and friends’ holidays. The peaceful and sunny location makes the big balcony with private sauna the ideal place to relax in every moment of the day and to benefit from the beautiful landscapes. During the winter there isn’t anything better than coming after a day spent on the slopes and take a Jacuzzi at 38° while surrounded by the snow ! During the summer a swimming pool with equipped area is available. 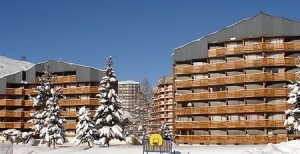 In addition, each chalet has free WI FI and a private covered external parking. At ground floor guests can find a beautiful lounge area with large fireplace, TV, cd player, equipped kitchen (oven, fridge, microwave oven, dishwasher, washing machine, dryer), ski and mountain bike locker, toilets and a twin room available also for people with reduced mobility. At first floor there are three rooms: one room for 4 people with a double bed and a sofabed, a room for 4 people with a double bed and a bunk bed and a room with double bed. All the rooms have balcony, TV, toilets and bathroom with shower, hairdryer and towels dryer. At second floor guests can find a large lounge area with TV and a room with 2 single beds, TV, toilets and bathroom with shower, hair dryer and towels dryer. At first floor there are two rooms for 2 people with a double bed, and a room for 4 people with a double bed and bunk beds. All the rooms have balcony, TV, toilets and bathroom with shower, hairdryer and towels dryer. 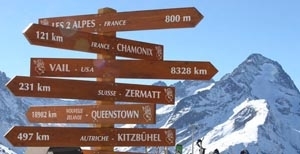 Les Deux Alpes is not just summer and winter skiing and snowboarding, but much more. 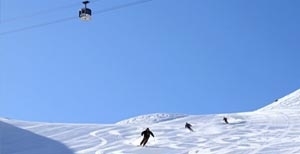 Those who love sports and want to vary their vacations can choose from numerous activities.